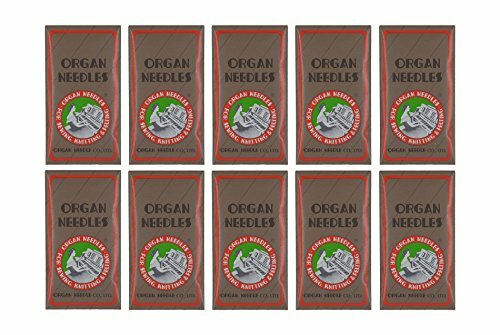 This pack of 10 assorted regular point machine needles allows you to perform multiple standard stitching projects on woven fabrics. The all-purpose needles are color coded to their sizes, making them easy to recognize and come in a convenient plastic container with size markers on the clear cover. 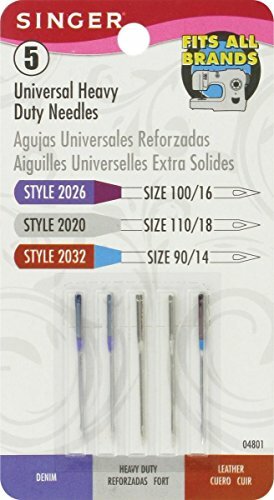 These regular point sewing needles can be used on all quality sewing machines and include the following color-coded sizes: Orange size 80/11 to be used on lightweight woven fabrics, blue size 90/14 to be used on medium weight woven fabrics and purple size 100/16 to be used on heavyweight woven fabrics. Brand: Euro-Notions | Manufacturer: PRYM-DRITZ CORP.
SINGER titanium regular point needles last 4 times longer than standard needles, making them an excellent addition to any sewing enthusiast s kit. 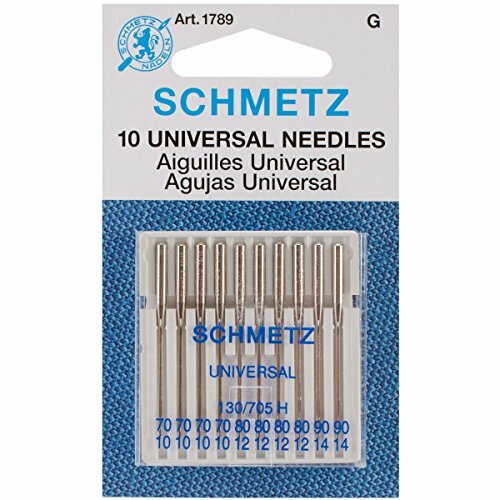 This set of 10 regular point, all-purpose needles come in multiple sizes so you can perform basic stitchwork on different fabrics. Color-coded sizes include: (4) orange size 80/11 to use on lightweight fabrics, (4) blue size 90/14 to use on medium weight fabrics, and (2) purple size 100/16 to use on heavyweight fabrics. 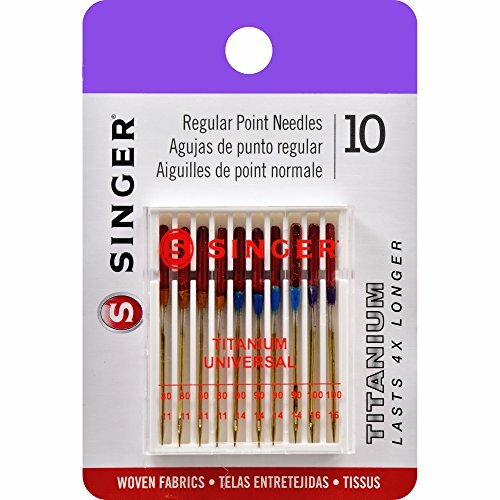 The SINGER titanium sewing machine needles can be used on SINGER, Brother, Kenmore and other quality sewing machines. 50-piece set of machine needles 15X1, HAX1, 130/705H packaged in five envelopes.Ten pieces of each size. Versatile all-purpose sizes 65/9, 75/11, 90/14 100/16, and 110/18, with flat back shank. For machines by: Bernina, Brother, Elna, Husqvarna, Janome, Juki, Melco, Necchi, Baby Lock, New Home, Pfaff, Poem, Riccar, Simplicity, Singer, Viking, White & more home sewing machines. For general sewing of numerous woven and knit materials. A great all-purpose needle. Works with all household sewing machine brands. 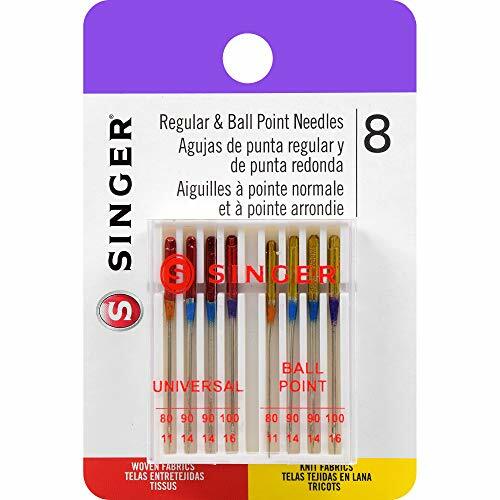 The pack of 8 SINGER regular and ball point sewing machine needles is a great starter kit offering the beginner sewing enthusiast two standard types of needles in varied sizes. Ball point needles are best used on knit fabrics, and regular point needles work best on woven fabrics. Machine needles are color coded to their sizes, which include: orange size 80/11 to use on lightweight fabrics, blue size 90/14 to use on medium weight fabrics, and purple size 100/16 to use on heavyweight fabrics. 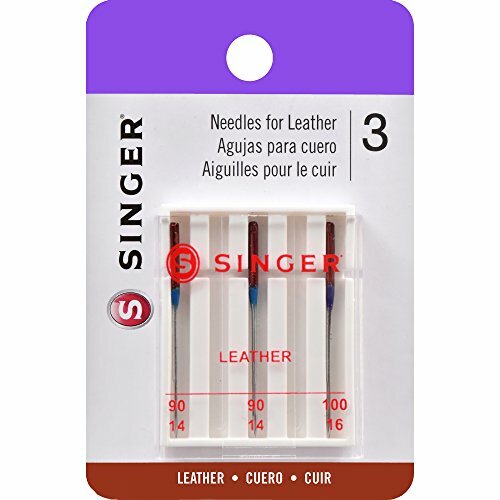 SINGER sewing machine needles can be used on SINGER, Brother, Kenmore and other quality sewing machines. 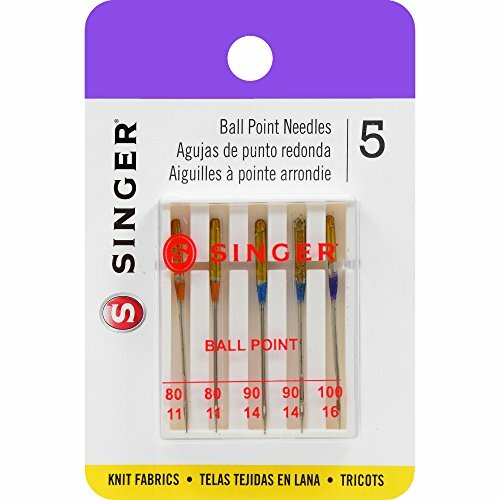 A necessary staple in any sewing enthusiast's tool kit, this set of 5 ball point machine needles is for sewing basic stitches on knit fabrics. Ball point needles are designed to prevent skipped stitches and eliminate holes or runs in the fabric, as the ball point slides between knit fibers rather than puncturing the fabric. Assorted color-coded sizes include orange size 80/11 for use on lightweight fabrics, blue size 90/14 to use on medium weight fabrics, and purple size 100/16 to use on heavyweight fabrics. 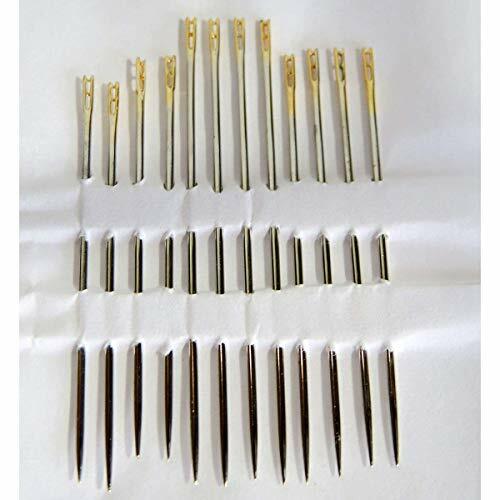 These needles can be used on SINGER, Brother, Kenmore and other quality sewing machines. Packaged in convenient plastic case with sizes marked on cover. Hampton direct hand needles come in a variety of sizes for different uses. This set of needles is great for kids and adults. These needles will glide through fabric smoothly. The perfect needles start to any sewing project. This set of 3 stainless steel machine needles is used for sewing leather and other heavyweight fabrics. Two leather needles, sized 90/14, and 1 heavyweight fabric needle, sized 100/16, are encased in a compact storage case with the sizing marked on its clear cover. Needles are for machine use, and can be used in Singer, Brother, Kenmore and other quality sewing machines. Industrial Sewing Machine Needles with round shank. Size of needles 75/11, 80/12, 90/14, 100/16. QTY 10 of each size. 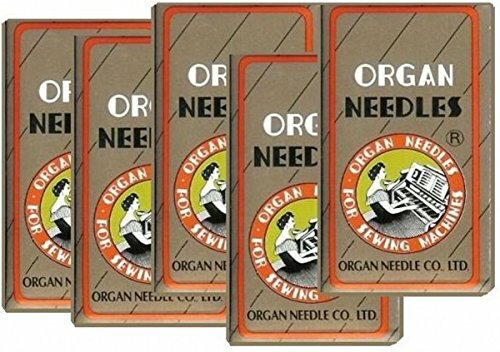 Box of 100 ORGAN Sewing Machine Needles fit for Industrial Sewing Machines. 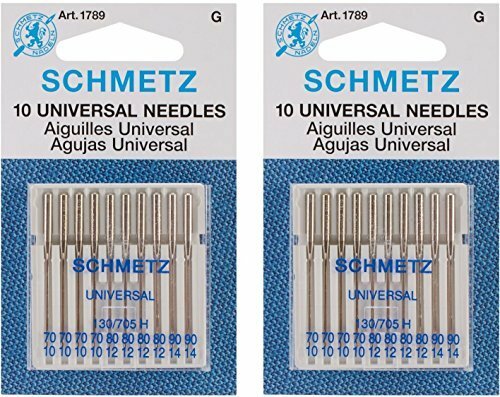 Size:1 Pack Experience smooth sewing with the schmetz universal sewing machine needles. The general-purpose needles in this carded pack feature a slightly rounded point allowing use on woven fabrics and Knits. 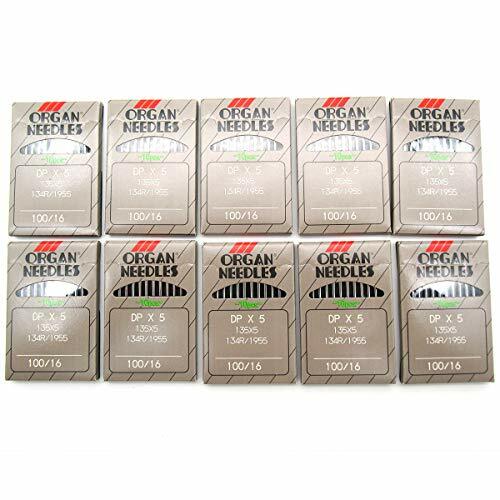 This set of universal sewing needles contains 10 needles in assorted sizes. 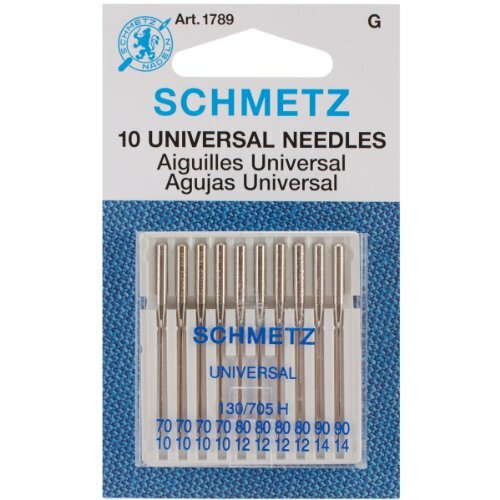 These schmetz universal needles are compatible with household sewing machine brands. size assortment: 4 needles - 70/10 4 needles - 80/12 2 needles - 90/14. 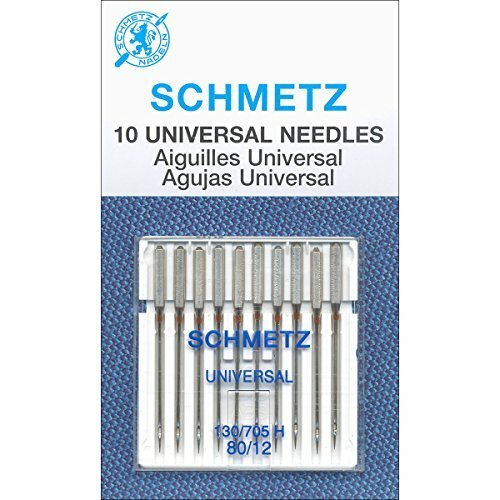 Schmetz HAX1SP Special Super Stretch Serger Needles - Assorted Size, 5/Pk. Pack of 5 Schmetz Special Super Stretch Needles - Assorted Size. 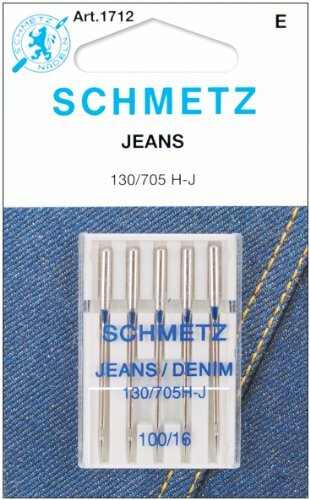 Schmetz Needle System : HAX1SP Size : 75/11 (2), 90/14 (3) The Schmetz Super Stretch Needle has a special flat shank which allows the needle to be closer to the hook. Additionally, the special design of the scarf are produces a larger needle thread loop which can easily be picked up by the hook. These features prevent skip stitches even on highly elastic fabrics. The reinforced blade causes less needle breakage and creates straighter stitches. As a result of the wider and shorter eye in combination with widened groove the HAX1SP is able to sew with thicker sewing threads than the Universal or the Stretch Needle. The threads are less stressed and do not break. The HAX1SP has a medium ball point which is suitable for all kinds of knits because it displaces the meshes, avoiding damage to the material. Instead of nickel, this needle has chrome coating which makes it more resistant against wear. 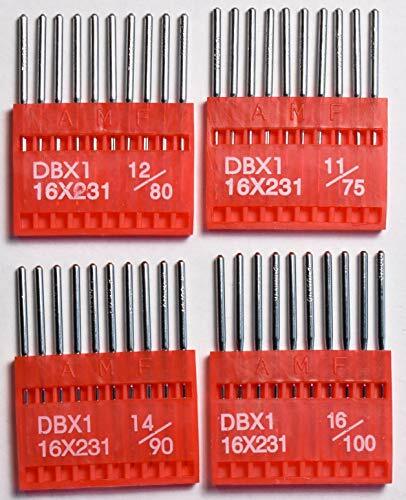 These are home sewing machine needles with a flat needle shank for most home sewing machines and home sewer based embroidery and quilting machines including : Babylock, Bernina, Bernette, Brother, Elna, Happylock, Husqvarna, Janome, Juki, Mammylock, Melco, Necchi, New Home, Pfaff, Poem, Riccar, Simplicity, Singer, Toyota, Viking, White and more. 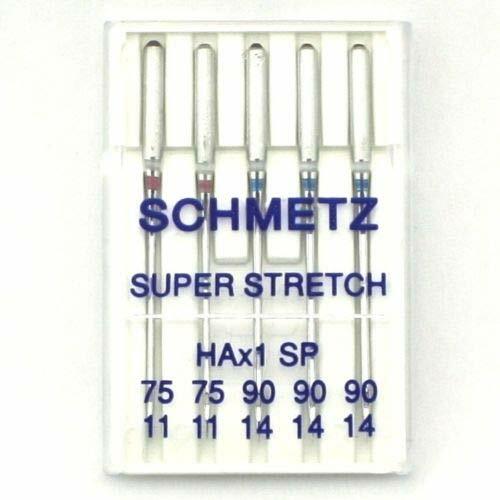 Pack of 5 Schmetz Special Super Stretch Needles - Assorted Size. 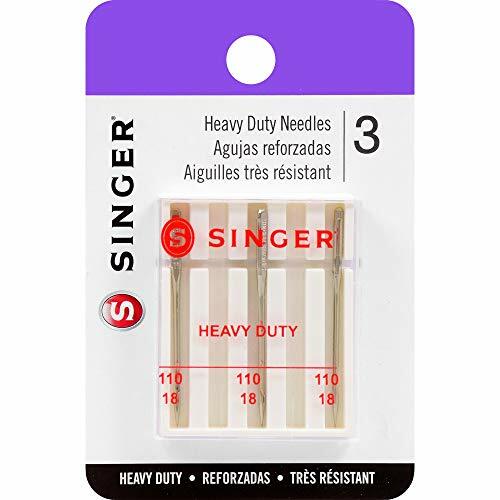 Size:1-Pack Use SINGER heavy duty machine needles, size 110/18 for heavyweight fabrics. Needles are strong enough to perform stitching on denim, drapery, wool and corduroy. 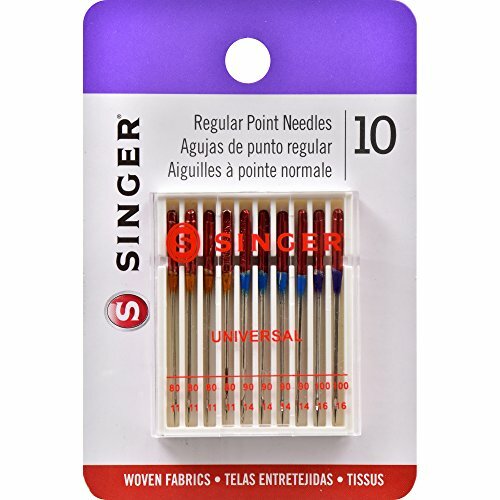 These SINGER needles are color coded silver for ease of recognition, and compatible with SINGER, Brother, Kenmore and other quality sewing machines. 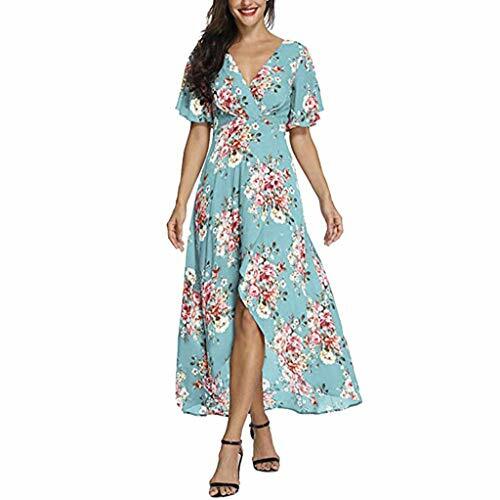 Size:S US:4 Bust:86cm/33.9" Waist:70cm/27.6" Sleeve:22cm/8.7" Length:134cm/52.8"
Size:M US:6 Bust:92cm/36.2" Waist:74cm/29.1" Sleeve:23cm/9.1" Length:135cm/53.1" Size:L US:8 Bust:98cm/38.6" Waist:78cm/30.7" Sleeve:24cm/9.5" Length:136cm/53.5" Size:XL US:10 Bust:104cm/40.9" Waist:82cm/32.3" Sleeve:25cm/9.9" Length:137cm/53.9"